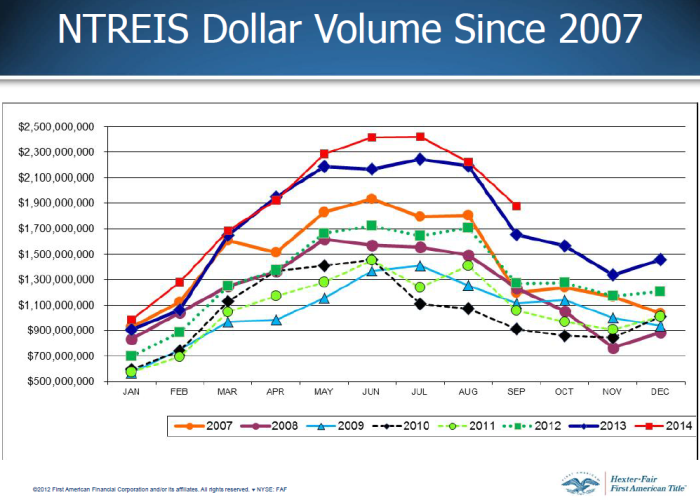 Below is the latest update to the NTREIS Dollar Volume chart provided by First American Title. 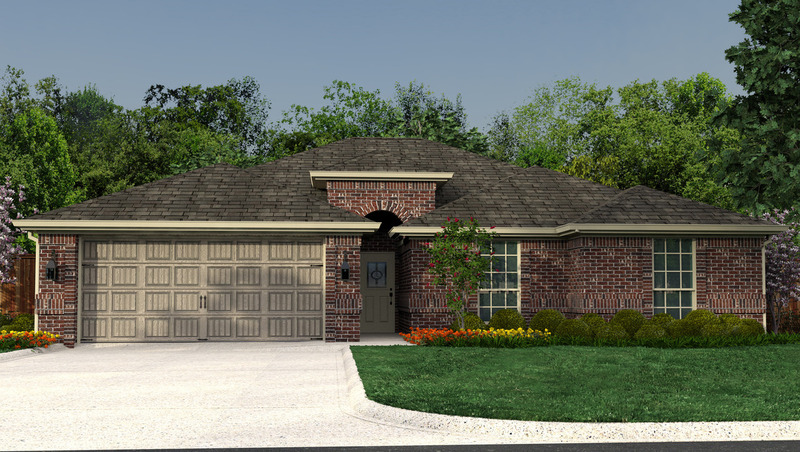 As you can see, the dollar volume of single family home sales in the North Texas MLS system fell to $1.873 billion this month. Declines in dollar volume are certainly expected in September as many people try to move BEFORE school starts each fall. However, the decline in this year was much smaller, and the dollar volume of activity high was an all-time best for September at 14% higher than September 2013 (6% higher transaction volume, 8% higher average sale price). Even more impressive, September 2014 dollar volume was 48% higher than September 2012, which had itself set the record for all-time best September just 2 years ago. 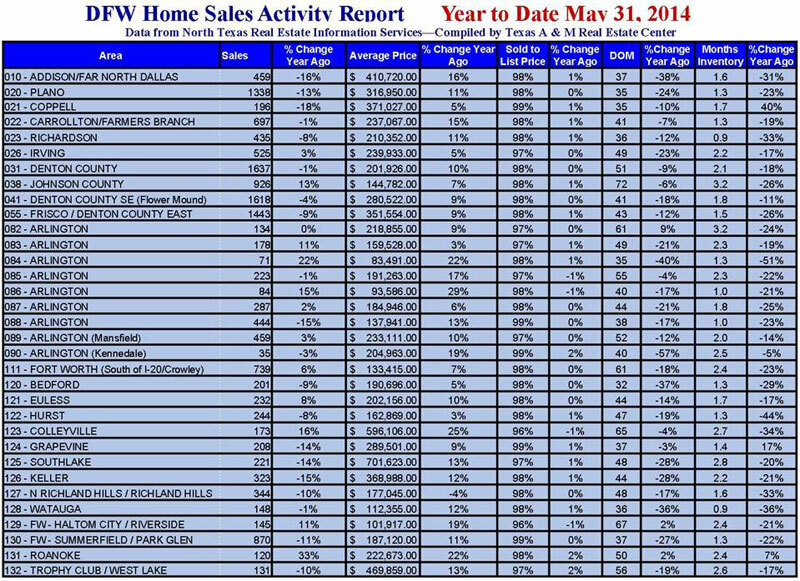 DFW Home values are up across the board from this time last year. There is less inventory available and prices are increasing. This is a great time to sell a home. Contact me for more information.